Bridal jewelry is that extra special niche where designers are able to add that crowning glory for brides. One designer who does this well is Phoenix-based Kristen of Gilded Shadows. Her often one of a kind designs utilizes many different materials. both new and vintage. 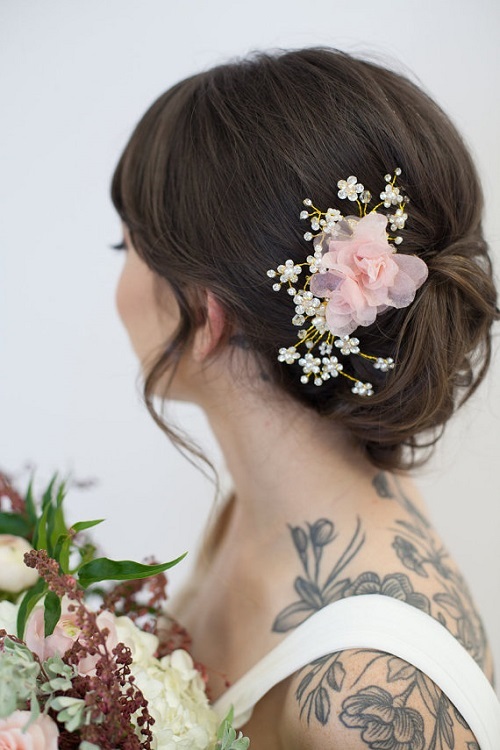 Lace, wire, crystals, silk flowers, tulle and so on come together in beautiful creations. 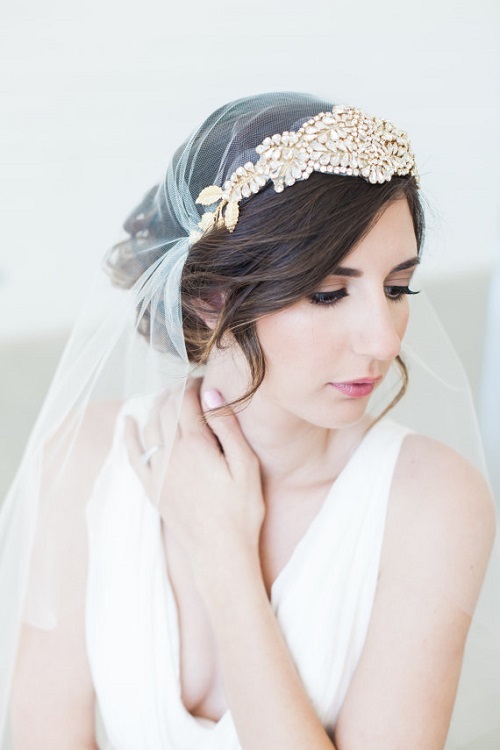 She makes tiaras or crowns, headpieces, headbands, different styles of veils and embellished combs and hairpins. My favorites were her birdcage veils with detachable rhinestone accent combs. These just cover the upper face and are adjustable. Some of her pieces are hand painted gold, brass and enamel. She also offers vintage bridal lace caps and circlets. Her shop is full of beautiful photographs of brides. Most are taken by different professional photographers and some are from brides who clearly rock her designs! Truly romantic bridal jewelry indeed.